Selected from apples that are sweet, juicy, and crisp. Pectin is one of the compounds that acts as a substrate for the production of short chain fatty acids that help maintain a healthy colonic mucosa in animals and they love it's delicious taste. Apple Fiber Powder is made when apples are scrubbed, peeled and washed again. They are then pressed for cider and the resulting by-product called apple pumice is hot air dried, ground in an enclosed hammermill grinder, screened to the appropriate mesh size and packaged. The result is apple fiber powder. During processing, this product only comes in contact with stainless steel and no additives or preservatives are used. 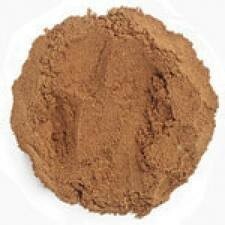 Apple fiber powder includes apple stems and seeds.